Year after year, friends and family have supported NOCC through generous donations in memory of Leah. I cannot even begin to tell you how much it has meant to me. 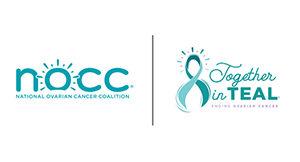 I hope that you will consider supporting women and families effected by ovarian cancer though your donation to NOCC. -- Wishing you Love, Bliss & Joy! Mat. Mat, Hope this helps with the mo’. ~Andy J. Being there for each other ~ once a Warrior always a Warrior, and obviously ovarian cancer has a very special place in my heart as well. In honor of Leah, Jeanne and ...Debbie who is in the fight of her life right now! With love to all the Ovarian Cancer fighters as well as family and friends who know this disease all too well. Good luck, Mat and team! Leah will always be in my heart!